This is the most common phrase that we hear most of the times on health forums, health discussions, health debates, on television at almost all the places but still it gets difficult to follow in our day to day life. We always do this similar practice, we start following this for a week or two and then we stop due to other daily routines or pressure in our life. We all, whenever follows this, eats complete apple at one go. Rather, we should make it a practice to eat the fruit in chunks. Half an apple twice a day. 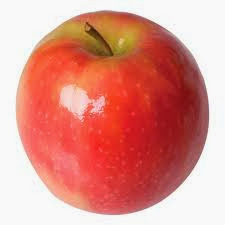 Also, now a days, due to lot of chemical usage ths skin of the apple is quiet harmful for us. So remove the skin and then consume. If you are an exercise freak, you must consume half an apple 15 minutes before your workout. For others, during the morning on empty stomach drink a glass of water and consume half apple. Now you would be thinking, what about the other part of an apple. Share it with other family member. Not only your body will thank you but also that family member's body as well. If you follow this practice, I am sure doctor will have to work hard to find patients.